“Freedom’s just another word for legs with a mind of their own. Fantastic book for travel and plotting escape plans! Sometimes you just have to go, and/or sometimes you look around and realize that you’ve been left behind. Well, I say, people get old you see…and sometimes sick. I say, when I get old, not wanting to think about it. Trying not to let me eyes get misty. She says, “I’ll miss you,” staring at the screen. Her eyes set on me. Hard. Daring me to say the contrary. I do my best to explain the Big C.
You did? I say, half awake. She puts her head on my heart. Her body wrapped around my middle. It all comes around again. 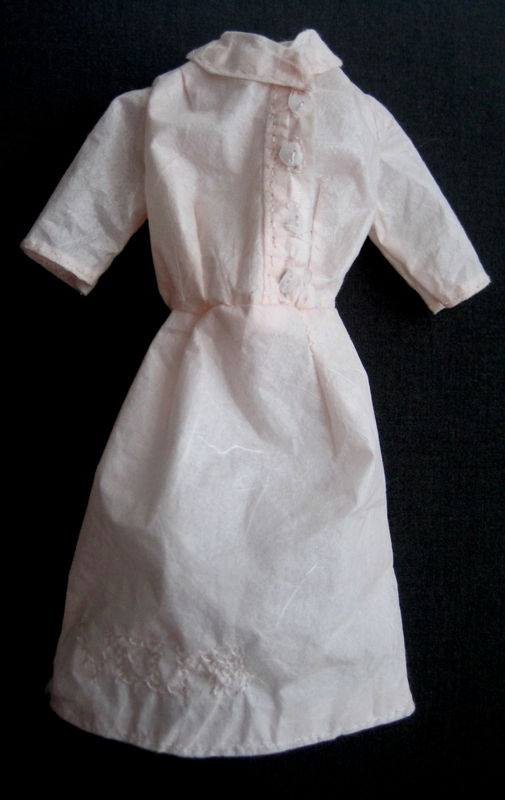 Velma Alverta (Crabtree) Siemering was my grandmother, and this light pink paper hand sewn dress is made in honor of her memory. 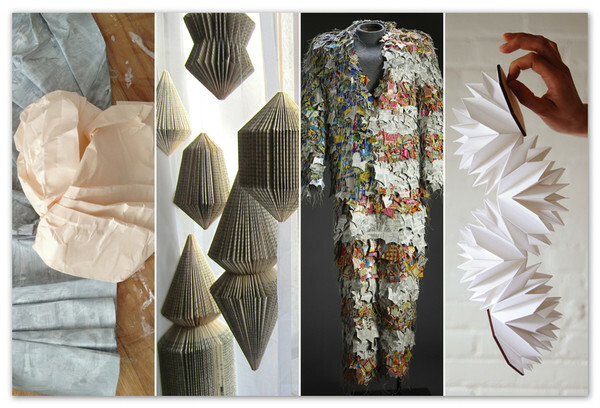 She inspired me to become an artist by her everyday craftsmanship of scrap materials into beautiful things. She was born in the middle of Nebraska at the turn of the last century, and had twelve(?) siblings. Velma was one of the youngest of the ones who lived through the flu epidemic at the time. Her father worked on the railroad, and she, her mother, sisters and one brother figured out how to fix things and re-craft items they needed on their own. She kept copious hand written notebooks about how to make all sorts of things and patterns for toys and cloths. She lived with me for part of my childhood until her death in 1987. I often think if she had been born a little later, and in different circumstances, she would have been a designer or an engineer. Velma married and had three boys. 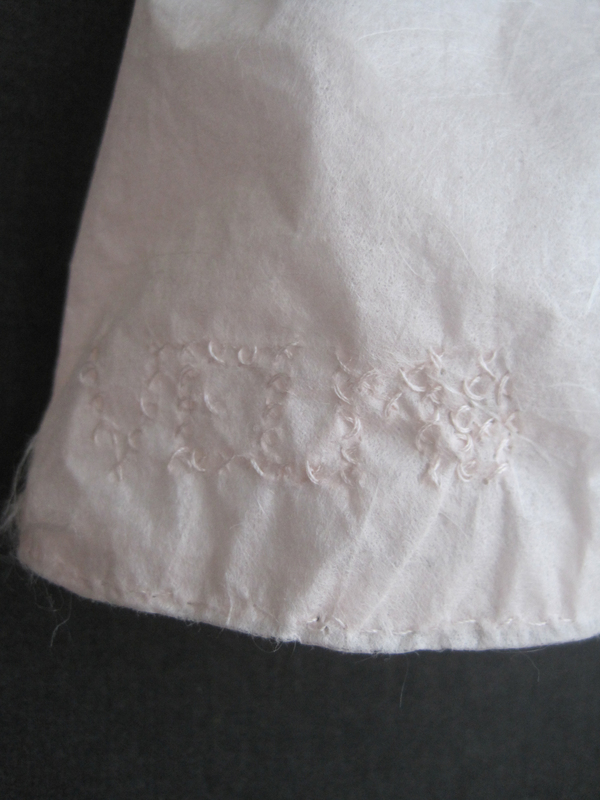 For someone who loved to sew, her skills were a little lost on them. She made the loveliest quilts and hand sewed Barbie doll clothes for all of the little girl grandchildren that followed, including me. It was a privilege to get to know her. She was very simple in taste, and wore mainly pink and turquoise house coats. A very practical person who tried to imbue some simple elegance into what she wore every day, with a place to put her pencils, scissors and notebooks for things she was thinking about. She hand knitted pillbox hats and kept then like a tower of Pisa in her bedroom. As I have gone through art school and my career as a fiber artist, I think of her often. I come back to simple solutions to make my work. I recently had surgery on my hand from an old injury and taking care of a rambunctious kiddo. I could not close my hand at one point. For my first art piece after surgery, I went a little off from what I normally make and used tissue like pink paper to make a little house dress to represent her. It is all hand sewn, and I took a cross stitch pattern from one of her books to embellish it. It has helped in my physical therapy even, which I can do at home. My PT therapist thought my life in sewing has made strong, flexible fingers. 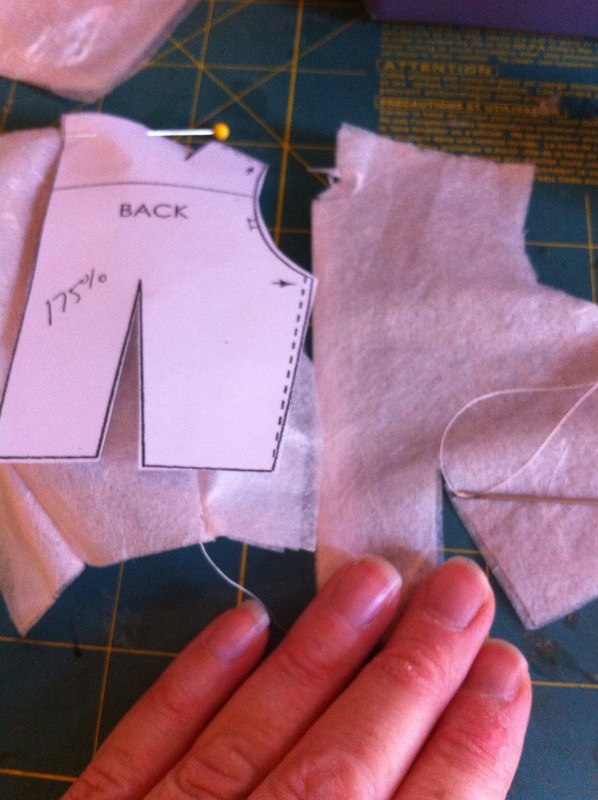 Working on some smaller projects for the winter, tiny paper dresses in production.